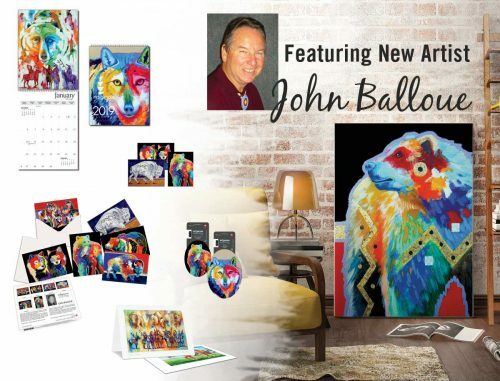 New Artist: John Balloue | Canadian Art Prints & Winn Devon Art Group Inc.
Having a Cherokee father and an English/Irish mother and not being raised on a reservation, art is his way of understanding, keeping alive and honouring his Native Ancestors. In 2013, he began experimenting with color and texture to create a more contemporary look and feel to his work. Now, much of John’s work is more innovative and experimental in nature. Color is the primary means in which the change has occurred. Color is said to be a barometer of emotion and the strong use of color is reflective of a passionate approach to painting. Besides it just looks cool!